Watch the sun come up over the ocean from your bedroom or living room windows. This is a perfect location for a family to get away and enjoy the beach. I love staying at Capri By the Gulf! Check-in was easy, the condo was clean. Pictures are true to what you get. I love the small property with private beach, it’s great to get the chairs and umbrella included. I would definitely stay here again!! Two suggestions: It rained more than normal, which is fine we still enjoyed the beach. You might consider covering part of the deck so guests can sit out in the rain and watch the ocean. Other guests were saying the same. Also, I wanted to stay another night and did not feel like the people were willing to work with me on that. I understand added cleaning fees, etc but the quote was extremely high and I would think you would want extra business and be willing to discuss options. I would still highly recommend this property!! We appreciate you staying with us and we're delighted to know that you all had an enjoyable stay at the beach and that you so enjoyed this beautiful beach condo! We thank you for your suggestion and feedback. We do offer umbrellas for the beach decks, and we would have been more than happy to assist you with getting this set up. We are so happy to know that your stay was so great that you wanted to extend, and we would have absolutely loved to have extended your stay in this home had we not had another guest coming in on the day of your departure. Unfortunately we cannot waive cleaning fees, and we are sorry that this made the rate seem high for staying 1 night at another location. (The cleaning fee is the same whether a stay is for 1 night or 7 nights, so at 1 night only, the per night rate may seem higher due to the cleaning fee.) We do encourage you to take advantage of our email offers we send out regularly for excellent discounts for future stays with us. If you're not receiving these, please let us know so that we can get you these offers as they come out. We hope to welcome you all back again really soon for another wonderful beach vacation stay with us here at the Capri! I’ve stayed in a lot of condos but this one was very clean, very quiet, relaxing. I would recommend to everyone. Thank you for your review of Capri by the Gulf #109. We are pleased to know that you had a nice and relaxing stay in this beautiful home. We hope to welcome you back soon as our guest for another stay with us here at the Capri in Destin! Had a great time. Love the convenience to the beach! Thank you for your review of Capri by the Gulf #109. We are happy to know that you all had such a wonderful stay and we look forward to welcoming you all back again soon as our guests here at Capri by the Gulf in Destin! I wantes CD a room on the beach, not across the street, facing north on the 9th floor. Capris 109: 1st floor- open door , turn right; see and hear the beach. Walk a few feet, your feet are in the sand. Walk a few hundred more feet, your feet are in the ocean. Yay! Rooms wonderfully remodeled; gated, security code opened & shut gates.umbrellas and beach chairs included. It was all beautiful. No problems. Managers were nice. I think it is the best deal in Destin. Thank you for sharing your review for Capri by the Gulf #109. 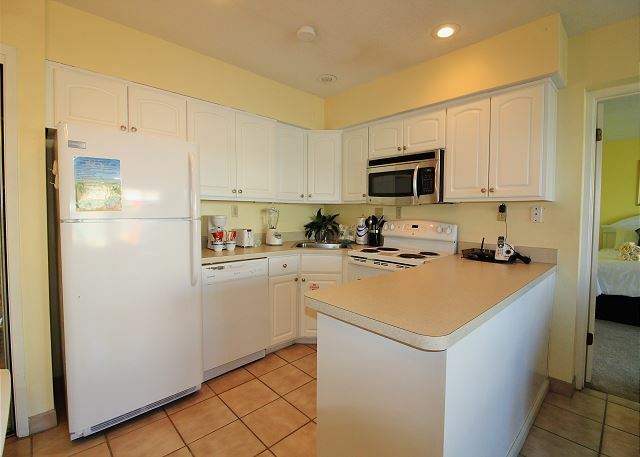 We are very pleased to know that you all had such a wonderful stay at the beach in this beautiful beach condo and that you so appreciated the complimentary beach service, and the convenience of this private, gated, beach front community here in Destin! We hope to welcome you all back again soon as our guests for another beautiful stay at the beach here at Capri by the Gulf in Destin, FL! This place was beautiful and so close to the beach. I felt relaxed the minute I arrived. It was welcoming and very nicely decorated. It had everything we needed from towels to kitchen supplies. Thank you for sharing your review for Capri by the Gulf #109. 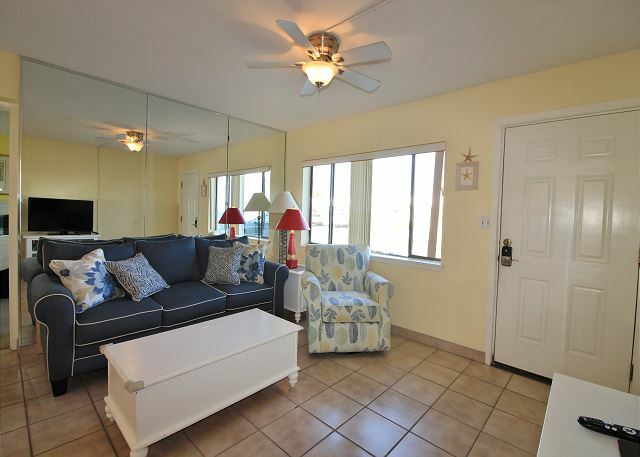 We are so happy to know that you all had a relaxing beach vacation stay in this beautiful home and that you all appreciated the great features of this beach condo! We hope to welcome you all back again soon as our guests at Harmony Beach Vacations here in beautiful Destin, FL! We thank you immensely for your most kind words for our team, and we so very much appreciate having you all as our wonderful guests here at Capri by the Gulf! We are a Family oriented company and we like to share the love with our guests, and it's so great to know that our efforts have been noticed and appreciated by you all! Thank You! We look forward to welcoming you all back again soon for another awesome beach vacation stay with us here at Harmony Beach Vacations in beautiful Destin, FL! Since we return to Capri year after year, there is no doubt that we are satisfied with Harmony Beach Vacations. Capri offers a view of the gulf from every location, one-story convenience with two parking spaces right in front of your unit and the management office is readily available on the property. Thank you for your review for Capri by the Gulf #109. We are so happy to know that you all enjoy Capri by the Gulf so much and we very much appreciate and value having you all as our wonderful guests over the years! We thank you for your kind words for our team! We're pleased to know that you all were pleased with us! We look forward to many more visits from you all as our guests here on the White Sandy Beaches of Destin, FL! Thank you for your review of Capri by the Gulf #109. We are so pleased to know that you all enjoyed your stay with us and we hope to welcome you all back again soon as our guests here at the Beach in Destin! This is about the 7th year I've been to Capri, the second time in this particular condo. I love Destin, and I will always come back to Capri. The room was a little worn, but clean and comfortable, as usual. Thank you for sharing your review and feedback. We are so pleased to hear that you have enjoyed another wonderful stay with us and we very much appreciate having you as our guests over the years! We hope to welcome you back for another vacation with us real soon! We've been staying at the Capri since 2005 and everything is always good! Thank you for sharing your review for Capri by the Gulf #109. We are so happy to hear that you all had a pleasant stay with us and we so much appreciate having you as our guests over the years! We hope to have you back again soon as our guests here at the Capri in Destin! This is our seventh winter at Capri, so we must like it! It's very small and one level, so just walk out your front door and you meet your neighbors and walk down to the gulf together. The management provides a few activities for all their clients, so it's even a better way to meet fellow vacationers. Thank you for sharing your review for Capri by the Gulf. We have so enjoyed having you all as our guests over the years and have had such fun times at our winter guests activities with you all and all our wonderful winter guests! We look forward to having you all back as our guests many more times here in beautiful Destin, FL! I love that this is a small 1 story building that is easily accessible. Our room was about 20 steps to the beach which is amazing, it comes with beach service. I like that the parking lot it gated with a code to open the gates to make you feel safe and secure. The room itself was perfect for me, my husband and our 14 month old daughter. I think my only complaint is the living room furniture is small and not very comfortable but we weren't there to spend time in the room so it wasn't a big deal. I only wish we could have stayed longer. Thank you for sharing your review and feedback. 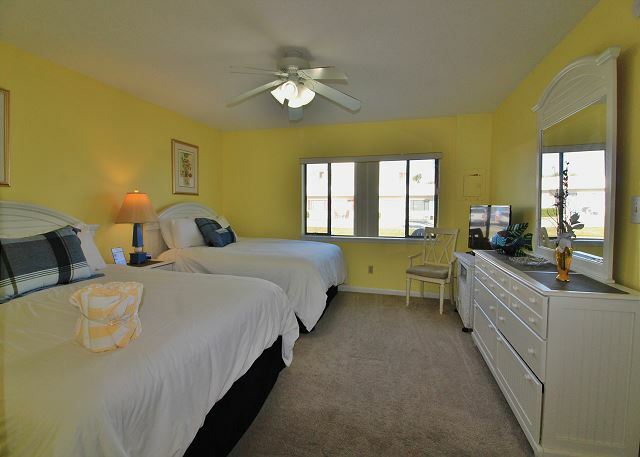 We are so pleased to hear that you all had such a wonderful beach vacation stay with us at Capri by the Gulf #109! We're glad that you enjoyed being just steps from the beach, and that you enjoyed the complimentary beach service as well as the community itself. Our homeowners appreciate hearing what guests have to say as well, and may consider suggestions when updating their homes, so please ask about updates that may have been made when booking your next stay with us. We would love to welcome you all back soon as our guests at the Capri in Destin, FL! It was great! Would go back again! Everything it says when booking is correct. 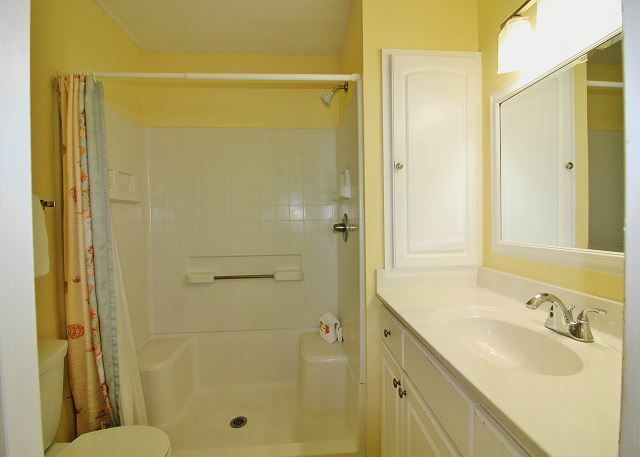 The property is clean and well maintained. The staff was very helpful and very friendly. I would recommend this to everyone. We plan on coming back next year. Love it!! Thank you for sharing your kind review. We appreciate having you as our guests at Capri by the Gulf and we are delighted to hear that you all had a wonderful stay with us! We look forward to having you back next year as our guest in Destin! Unbelieveable experience,we had the times of our life.feltt very welcomed.decided that's where we want to stay every time we come to destin.Thank you for an amazing experience. We appreciate your kind review. Thank you for staying with us at Capri by the Gulf! We're delighted to hear that you all had a great vacation and we would be happy to have you all back soon as our guests in Destin! It a little dated. Needed new iron, more sitting area for 6 people, a new mattress for sofa bed and some new blinds our wouldn't close and more wash clothes we only had two for four women. Love the short walk to the private beach and all our friend we get to meet while we're there. Love the laundry room and gated lot. Makes us women feel safe. We love staying here. This year was our 5 year. Love it there we will be back. Wish list a pool!!! Thank you for sharing your review and suggestions. We appreciate having you as our guests over the years and we look forward to having you all back soon! We do share our guests' suggestions with homeowners, as they like to hear what guests think of their homes and how to improve. The iron and washclothes, our onsite office would have been happy to care for this for you and we hope you gave us the opportunity. We hope to see you again real soon at the Beach at Capri by the Gulf! What a delightful surprise Capri by the Gulf was! I'm always a little nervous to stay somewhere different than our "usual" place, but this was a such a find! The location was perfect--mere steps to the beach, complimentary beach service with chairs and umbrella included. The unit was squeaky clean and equipped with absolutely everything you could need. The beds were more comfortable than ours at home. The only thing missing was more time there to enjoy it! 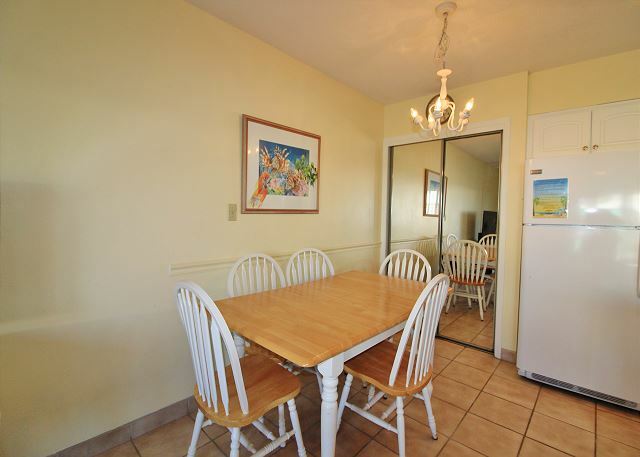 highly recommend this property, Harmony Beach Rental and definitely working with Sharon. We will definitely be returning. 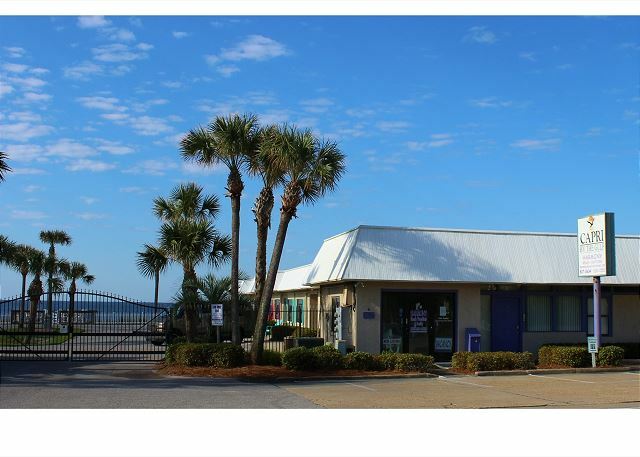 Love this quiet, secure place right in the middle of everything you want to do in Destin! Thank you for sharing your kind review. We are so pleased to have you as our guests at Capri by the Gulf and we're very happy to hear that you had a pleasant stay with us! We're also pleased to hear that you enjoyed working with Sharon in booking your condo as well as helping you with the details of your vacation plans. We'll be sure to share your feedback with Sharon. Our team loves to hear that our guests appreciate their efforts. We would love to have you back soon as our guests at the Capri! Perfect spot for pre-teen children to feel like they have freedom without being attached to Mom. The gated community makes you feel secure. You can see the condo door from your complimentary umbrella on the beach. Great for any Mother to take her children to the beach without Dad's help. Thank you for sharing your review. We are very pleased to hear that you all had a pleasant stay with us and that you enjoyed the private, gated community. We would be very happy to have you back soon as our guests at Capri by the Gulf! This is our 7th winter at Capri, and we keep coming back because of the complex's central location, friendly staff, beautiful view of the Gulf, and proximity to fellow guests who become good winter friends. Capri is old and economically-priced, but well-maintained as it can be, inside and outside. We enjoy the weekly events sponsored by Harmony Beach Vacations and recommend this location for anyone who likes to get involved with their Capri neighbors. Thank you for sharing your review. We have enjoyed having you all as our winter guests at the Capri over the years and we also enjoy our weekly events with our guests! We look forward to having you back soon for many more happy times! Capri is unique. It it's one-level units have views of the Gulf and easy Gulf access. Though it's quite old, it is well-maintained, and any problems are addressed by the management staff in a timely manner. The front desk staff makes you feel welcomed. Most especially, Capri's small and compact size means making friends is an easy thing to do. Thank you for sharing your review. We appreciate having you as our guests over the years and we look forward to having you back soon for many new memories and new friends yet to be made here at the Capri! This unit could use a furniture update! Thank you for sharing your review and suggestions. We are so pleased that you all enjoyed your stay with us and we hope to have you back soon as our guests in Destin! Great unit, friendly staff, beautiful water and weather. Just a perfect week at the beach. Thank you for your review. We appreciate you staying with us and we are so pleased to hear that you all had a wonderful vacation! We welcome you back as our guests anytime! We found Capri by the Gulf off of and we are so glad we did! Yes the building is an older building, but the rooms were extremely clean and comfortable. The private beach was amazing and had beach service included. The office even included a bottle of wine! We will be coming back for sure! Wonderful time perfect location professional helpful staff definitely return. Thank you for sharing your review. We are so pleased that you all enjoyed your stay and we hope to have you back soon as our guests in Destin! Everything was great! The staff was very friendly and accommodating. Room was ready and no issues at all. We've stayed at Capri for several years and keep returning! Thank you for sharing your review. We are delighted that you all enjoyed your stay so much and we hope to have you back soon as our guests again in Destin! It was beautiful this year, we absolutely loved everything . We always stay with Harmony. Thank you for sharing your review. We appreciate having you stay with us over the years and we hope to have you back as our guests again soon! Great wish I were still there! Thank you for sharing your review. We are so pleased that you enjoyed your stay with us and we would love to welcome you back to your 'home away from home' again very soon! This little piece of Paradise was exactly what we were looking to find during our stay in Florida for our nieces wedding. We received a call from Ed letting us know he would be awaiting our arrival. Sure enough Ed and his wonderful assistant were there to greet us and gave us plenty of recommendations for activities and restaurants to eat at. This place was very secure, clean, friendly, and right on the beach!! I would highly recommend staying here if u want a relaxing, quiet atmosphere!! Thank you for sharing your review. We are so glad you all enjoyed your stay so much! We appreciate having you as our guests and we hope to have you back soon! Thank you for sharing your review! We are so pleased that you all had a wonderful stay with us and we look forward to having you back as our guests soon! This is our sixth Snow Bird winter at Capri by the Gulf and we keep coming back because of its small size and proximity to the Gulf. It's easy to make friends and the management is very accommodating. It's an older one-story building, but it's kept in the best shape possible. And it's not on top of all the massive high rises, yet in the center of Destin activity. Thank you for sharing your review. We are so glad you all enjoy the Capri and we enjoy having you as our guests! Looking forward to many more good times! This is our sixth year staying at Capri by the Gulf and we will be back again next winter. The location is perfect. Right on the gulf. Just walk out your front door and get to know fellow guests, who also come back year after year. Our unit needs attention. There were some improvements this year and expect more in 2016. Management friendly, timely and accommodating. Activities are offered so you can get to know fellow guests. Capri is a 20-25 unit motel converted into condominiums where you can get to know your fellow renters. Your door opens into a view of the Gulf, and you can go out and bump into a neighbor, knock on their door and chat, or got for a walk together. The staff is friendly, accommodating and prompt in meeting your needs. This is our with year here.